Serta mattresses do not have a specific weight limit however when purchasing a new Serta mattress, we do recommend that you also purchase the matching boxspring. This will ensure your mattress is fully supported. You should also be sure the bed frame has several slats and a center support that extends to the floor. We recommend a mattress that is a little more on the firm side so that you avoid the sinking in feeling you may experience with very plush models. Serta Perfect Sleeper Wynstone II work with adjustable foundation? Unfortunately, this Serta mattress is not adjustable friendly. When can I sleep on it. Can I sleep on my new icomfort blue touch 300, the first night it arrives? Absolutely! Your new Serta iComfort mattress is ready to be slept on. We do recommend refraining from putting your mattress protector and sheets on right away. Let it air out for a couple of hours as your new mattress has been in a plastic protective bag since it was made. We are sorry to hear that you are experiencing an issue with your Serta mattress. Please contact the retailer you purchased from so they can help assist you with a resolution. You can also visit us online to start a warranty claim here https://www.serta.com/warranty-registration or call us at 1-888-557-3782 for additional assistance. Why will my RF258 remote for my motion base wont stay paired with the base? How can this issue be resolved? Hello - I am trying to find information on adequate bases for my mattress (Serta iComfort Hybrid Blue Fusion 300). I have a platform bed with wooden slats (not a solid platform). I cannot find anywhere if a wooden slat platform bed is considered an adequate base. I cannot find any information about spacing between wooden slats. The bed does have a center support. Please advise. We recommend a minimum of 5 slats evenly spaced with a center support that extends to the floor. Here is a link to the warranty brochure: https://www.serta.com/warranty-registration Please call us at 1-888-557-3782 if you need further clarification. Do the queen COMFORT Mattress's come 8n different lengths? My mattress is three inches too short for the bed frame. The length of your Queen Serta mattress should be approximately 60" x 79.5". Please call us at 1-888-557-3782 if you need additional assistance. The weight of the adjustable base and mattress is dependant on the size. For additional assistance, please call us at 1-888-557-3782. Can I use a 3 inch mattress pad with the Serta perfect sleeper dahlia pillow top? You can use a mattress pad on any Serta mattress. We do recommend that you also use a waterproof mattress protector as well to protect your Serta mattress. The legs on the Serta Motion Plus are black and telescopic. They measure 5"-8". To find your mattress size on the law tag, look for the line that says "Finished Size". That will give you the dimensions of your mattress in inches. The zippered cover is not to be removed and at this time, we do not have replacement covers available for purchase. You can spot clean your mattress with warm water and a mild detergent. Please be sure not to saturate the mattress as this can damage the foams and fibers, and be sure to let the surface dry completely before putting the sheets back on. You can also vacuum the surface using a handheld or attachment to your larger vacuum. We then suggest using a waterproof mattress protector to keep your mattress clean and free from stains. How am I claim my warranty on a memory foam if they’re not made to show sag? My memory foam mattress has become really uncomfortable to sleep on and I feel like it pulls me towards the middle. It doesn’t give me the support around my body as it did when I first got it? How do I file a warranty of y’all only look for the required amount of sag to be warranted. We all know memory foam is made to bounce back with no pressure being on it. It has clearly broken down on the inside and is not to the standard it was when I got it. We are sorry to hear that you are experiencing an issue with your Serta memory foam mattress. Please contact the retailer where you purchased from so they can help with a resolution. You can also visit us online to start a warranty claim here https://www.serta.com/warranty-registration or call us at 1-888-557-3782 for additional assistance. Will a Bailiwick perfect sleeper mattress work with an adjustable base? Please call our customer care center at 1-888-557-3782. One of our sleep experts will be happy to let you know if that mattress is adjustable friendly. I bought a Serta big and tall office chair one and a half years ago. I have both the 10 year serta warranty and the warranty from Office Max. When I tried to make a claim, due to the left arm of the chair snapping in half and the screw snapping on me, they said they couldn't complete it due to me not having the receipt. Because it is more than a year after the purchase they cannot find my receipt. What am I supposed to do? We are sorry to hear that you are having an issue with your Serta office chair. Please call 800-379-9773 for assistance. Thank you for your interest in Serta! We recommend buying a new Serta boxspring at the same time as your iComfort mattress.The King boxspring will be split meaning it comes in two pieces. I recently had a power surge at the house causing my adjustable base to become inoperable, the green light to the power box is blinking, and the power down box has a white blinking light as well. However I am unable to reset or function the base anymore, is there something I am missing or recommendations you might have to solve this issue. I have already tried plugging and unplugging, as well as resetting the main box. I have also tried another appliance with success. Should or Can I encase my memory mattress in a protective cover? Are Serta power recliners 29v dc? Please email info@hughesfurntiure.com for assistance with your question. Be sure to include the model name of your Serta recliner so a representative can better assist you. There are a few things to consider when moving your mattress. We do not recommend folding your Serta mattress as this could damage it. Depending on what Serta mattress collection you have, a slight bend when maneuvering around stairs and doorways should not cause damage, however, this is only true for mattresses that are adjustable friendly as they are designed to bend slightly on an adjustable base. Your foam mattress should be fine. In regards to transporting your Serta mattress, we recommend covering it completely with a mattress moving bag (available at most major retailers) to protect from any stains or damage and laying it flat. Please call our customer care center at 1-888-557-3782 to speak with an agent. They will be happy to provide information on that discontinued model and make a recommendation on a comparable one. I purchased in April 2015 the Serta Motion Essentials Adjustable Base Essentials. One of the bases does not work when you want to raise the head. It only works when the remote is pressed to raise the feet. How can I get this fixed? For information on our Serta futons, please call 800-642-9653 or email customerservice@wolfcorp.com. Please call 1.800.379.9773 to discuss the issue you are having with your Serta chair. Thanks for choosing a Serta mattress topper. As with many new products first removed from packaging, there may be a slight noticeable odor. We suggest keeping your mattress topper in a well-ventilated area without linens for a few days or leave it uncovered with the windows open. The smell should dissipate shortly. I'm trying to claim a warranty but they said they can't find the "do not remove tag" with the info they need on it. Where is the tag located on an ICOMFORT BLUE MAX? We can't find it either and I can't find any picts online with a tag in them. Thanks for your help! The tag should be at the bottom (foot) of the mattress. Please call us at 1-888-557-3782 if you require additional assistance. We have a 10 in. memory foam mattress that the foam is no longer bouncing back like it used to. If we lay on it for a short amount of time it sinks in so far and a ridge develops that you can not get out unless you are up off of it. It is also squishy to the touch in those lain in areas like the gel has broken down. We have rotated the mattress, but it is the same thing in the areas that we are laying in. Is this something that would be covered by warranty? We are sorry to hear that you are experiencing an issue with your Serta mattress. Please contact the retailer where you purchased from so they can help with a resolution. You can also visit us online to start a warranty claim or view your warranty brochure here https://www.serta.com/warranty-registration For further clarification on your Serta mattress warranty, please call us at1-888-557-3782. What’s the password to log into my serta adjustable base? Is there a standard password or a way to reset it to default password? We have the motion 2. My mattress is new. After use and sleeping the mattress began to sag in the middle. Is there a warranty for this? What can be done? We are sorry to hear that you are experiencing an issue with your Serta iComfort mattress. Please contact the retailer where you purchased from so they can help with a resolution. You can also visit us online to start a warranty claim here https://www.serta.com/warranty-registration or call us at 1-888-557-3782 for additional assistance. How can I get instructions for my Serta micro plush warming mattress pad? There were no instructions with my pad when it arrived. When I turn it on the display says E1. When I set it on 9 it goes back to E1 then turns off. Please call +1 (800) 299-1378 or email custserv@pfisleep.com for troubleshooting help and to obtain instructions for your Serta warming mattress pad. My Serta 3-inch Soothing Cool Gel Memory Foam Mattress Topper became wet during some recent flooding in our area. What is the best way to dry to prevent mold and mildew but retain the cooling gel properties? If the foam was saturated, it may not be usable. If not, we recommend using warm water and a mild detergent to spot clean it but be careful never to saturate the foam. Then leave it uncovered in your bedroom until it is completely dry prior to adding your bedding. What are the approved mattress protectors for the warranty? Our sales men said we had to purchase one approved by serta that it couldn't be from Walmart or anything. The mattress topper must guarantee that liquids cannot get through. If it is just resistant to liquids, it does not comply with the warranty requirements. Tonight while relaxing in bed, we started to smell something burning. The USB on the adjustable frame was very hot and starting to smoke. We just unplugged the entire bed. Is there a way to just disconnect the USB? Any idea what would cause this? We are sorry to hear about the issue you are having with your USB port. Please call 1-888-550-3746 for assistance. We are sorry to hear that the controllers for your Serta mattress pad are not working. Please email custserv@pfisleep.com for assistance. Question does anyone know how to replace a lost wireless Remote Control for a Serta motion perfect? Lost the remote in a move up north. To order replacement parts for your Serta Motion Perfect adjustable foundation, please call 1-888-550-3746. Thank you for choosing a Serta crib! Please call 1-800-377-3777 for assistance with assembly instructions. I have a icomfort adjustable bed that got hit by lightning need to know where I can get a new control unit 258-2. Serial number E2013005010352. My king adjustable base has one remote by choice. It raises but only lowers one side of mattress. How can I fix this. Here are a few troubleshooting tips to try, if the issue continues, please call 1-855-65-SERTA (73782): • Verify power cord is plugged into a working, grounded electrical outlet. A grounded, electrical surge protection device is recommended. Test outlet by plugging in another working appliance. • Verify remote control is plugged into the motor. • Unplug power cord, wait 30 seconds and plug in to reset electronic components. • Electrical circuit breaker may be tripped. Check electrical service breaker box to verify. • Defective surge protection device or electrical outlet. Test outlet by plugging in another working appliance. We're sorry to hear that you are having difficulty installing your headboard on your Serta adjustable base. Please call the manufacturer for troubleshooting help at 1-888-550-3746. I purchased a Serta Luxurious Plush Top Low-Voltage Electric Heated Mattress Pad (California King, White) and now one of the controllers isn’t working. Can you please let me know how I can get a replacement controller? Thank you! We are sorry to hear that the controller for your Serta heated mattress pad is not working. Please call +1 (800) 299-1378 or email custserv@pfisleep.com for assistance. I purchased a Visionary EXF PS King mattress in 2014 and having issues with it sagging on the edges more than the middle. How does a memory foam mattress get measured since it goes right back into shape after getting up? I have a warranty code of W25. For warranty information including your mattress warranty brochure and how to start a warranty claim, please click this link: https://www.serta.com/warranty-registration. You can also call us at 1-888-557-3782 for assistance with the warranty process and rules. How long after a purchase of a mattress and box spring set do you have to sign up for the warranty? Please call +1 (800) 299-1378 or email custserv@pfisleep.com for assistance with your Serta blanket. Why won't the foot/leg part of the bed move anymore? The Serta Knollcrest pillow top mattress is not an adjustable friendly mattress. What are the fees associated with the 120-day in home trial? We will be purchasing from Serta.com directly and want to know the return options in the event we don't like the mattress. What fees do you charge if returned? Serta iComfort purchases on Serta.com are covered under our 120-Day In-Home Trial while our Perfect Sleeper collection is covered under our 45-Day In-Home Trial. We strongly recommend that you sleep on your new mattress for a minimum of 30 nights and allow your body to adjust to the new mattress before initiating a return or exchange. To receive the benefit of our in-home trial, there is a 15% disposal fee on the exchanged/returned mattress as we do not resell used mattresses plus a $200 delivery/pick up fee. These are pass-through costs and will be deducted from the amount credited to you for your return. In the case of a return with no exchange, your credit will be issued when the returned product is received back at the Serta factory, less these fees. All account credits can take 1-2 billing cycles. We bought a Medium firm perfectsleeper I collection matresss but we think they gave us a firm matress. How do we tell on the matress if it’s medium firm? Depending on what model you purchased, the comfort level can be part of the name itself. If you are unsure of the comfort level of your mattress, you can either contact the retailer where you purchased from or give us a call at 1-888-557-3782 for additional assistance. Thank you for your interest in a Serta SleepToGo mattress. When it comes to a foundation for this mattress, you have several options. It is compatible with a platform foundation, solid surface bed frame, or adjustable foundation. When we tried the mattress in the store it had more give than when we received our brand new mattress. Why does it feel like a brick? It was delivered on a cold day does it need to adjust “warm up” or did it feel different because it was broken in at the store? The Somerville Firm is made with memory foam which reacts to temperature by feeling firmer when cold and softer when warm. If your mattress was delivered in freezing temperatures, it may take several hours to reach the intended firmness. Where do I find the Serial Number on the mattress tag of a Serta Perfect Sleeper Capriana Eurotop? The serial number is located at the top, left-hand corner of the law tag attached to your Serta mattress. Warranty voided with other adjustable bed frame? Can a Serta IComfort hybrid 5000 mattress be used on any adjustable bed frame? Please call our customer care center at 1-888-557-3782 to speak with an agent. They will require the name of the adjustable base you intend to use with your Serta mattress. i bought a serta elite mattress pad. There were no care instructions with the item. machine washable? how to dry? will it shrink? Here are the washing instructions for your Serta mattress pad: Machine Wash Cold, Gentle Cycle, Tumble Dry Low, Do Not Bleach, Do Not Iron, Do Not Dry Clean. Can one use the Applause II PS king mattress with an adjustable base? Yes, the Serta iComfort Applause can be used with an adjustable base. The Serta DuoCore Dual Comfort pillow is an updated version of the DuoCore 2-in-1 pillows with slightly different foam. I have a 2008 Serta model 241736-350. Can it be used with an adjustable bed frame? Thank you for choosing Serta! For information on the compatibility of your 2008 Serta mattress with an adjustable base, please call us at 1-888-557-3782.  What Mattress is compatible with the Serta Perfect Sleeper Elite Supreme 2000? The Serta Perfect Sleeper is a mattress. Please call our customer care center at 1-888-557-3782 to speak with an agent for further assistance. We are sorry to hear that you are having an issue with your Serta office chair. Please call 1.800.379.9773 for troubleshooting help. Why does the warranty registration not list the Mattress in a Box as sn optio or have Other option that could be filled in. I registered my mattresss under the only foam listed, but it isn’t a icomfort foam. When writing the review I could pick my product. Do Zi need to re- register and leave that area blank? We are sorry to hear that you are experiencing an issue with your Serta mattress warranty registration. Mattress in a box models are under our Perfect Sleeper collection. Please call us at 1-888-557-3782 for additional assistance. Will the smell ever go away? I just bought an icomfort 300. It smells awful. Will this smell go away? I hate to think I spent a lot of money on a king bed and have a headache when I get up in the morning. I really dont want the hassle of returning it. what do I do? Thanks for choosing iComfort. There can be an odor with a brand new mattress (like a new car smell). To allow the odor to dissipate, we recommend leaving your mattress uncovered for a couple of days before making your bed up with your sheets. I have a Serta IComfort Queen Adjustable bed that is not quite 7 years old. The mattress has lost its support in the middle. I started filling out the claim form but there is no law tag on either our frame or mattress and we did not remove it. The website will not let me submit my claim without it. My retailer is out of business. Can you help? We are sorry to hear that you are experiencing an issue with your Serta mattress. Please call us at 1-888-557-3782 for additional assistance. We have an older King size, Moonlight, Perfect Night pillow top mattress we love, and want to buy the same mattress in a Queen size. We can't find that name in your listings . . . what is it now called ? Please call our customer care center at 1-888-557-3782 to speak with an agent. They will be happy to provide information on discontinued models and make a recommendation on a comparable one. I bought an iComfort extra firm king size in 2011 and it is the best mattress I’ve ever slept on. After renting my home for a brief period, I returned to find the mattress stained even though I had requested they use the stain-proof mattress pad. I am not sure what the stains are, how long they’ve been there, or how to remove them. I am afraid that the mattress is permanently damaged. I have bought two additional iComfort mattresses since then (one king, one queen) but neither compares to the original so I’d hate to have to replace it. Any suggestions? To spot clean spills or stains, we suggest using a mild cleaner and warm water. Spot clean only and be sure to not saturate the area as this can damage the foam. Leave the mattress uncovered to dry completely before you put the sheets back on. Can our I-Comfort Genius Mattress be stored in freezing temperatures? We will be storing our furniture for a few years and was wondering if this is advisable with the mattress and box springs? We don't recommend storing your mattress for a long period of time in freezing temperatures however, one or two days would be fine. Keep in mind that if your foam mattress is exposed to extremely cold temperatures, it will become very hard and will need time to adjust to room temperature. When it comes to storing the mattress, it should be tightly wrapped so that the foam layers do not separate and should be laid flat and not up on its side. Just bought a Sertapedic Won't Go Flat pillow and it has a noticeable odor. How long does it ususally take for this odor to dissipate? A brand new pillow can have a slight odor at first, similar to "new car smell." The scent should not be severe and should dissipate after several days. Make sure to air it out completely before putting on the pillow cases. We are looking to replace our Villa Bellagio mattress that was purchased in 2011. What model replaces villa Bellagio mattress? For help determining which current mattresses are comparable to a discontinued mattress, please call us at 1-888-557-3782. Do Serta mattresses contain flame retardants? Do Serta mattresses contain toxic flame retardants? We are proud to be an industry leader by manufacturing open-flame resistant products since 2005 that meet or exceed the federal flammability standard. Our FireBlocker system is a proprietary blend of natural and synthetic fibers that help isolate the impact of a fire and limit its spread. All Serta products comply with all applicable safety, health and environmental regulations. In addition, we fully comply with the standards of the US Consumer Product Safety Commission. Hello is there a shop in Switzerland, who sells your beds!? Thank you for your interest in Serta! 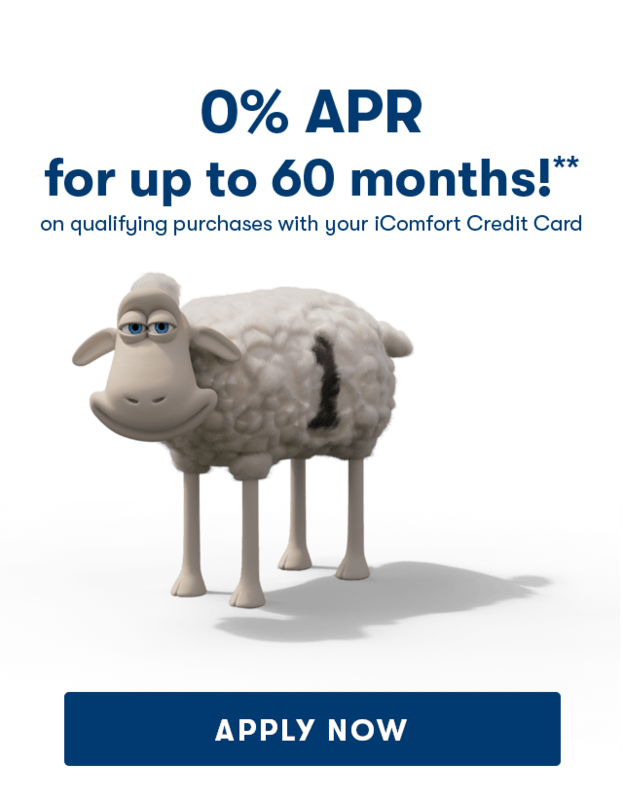 Please call 90 232 864 24 00 for information on Serta retailers in Switzerland. Can Serta iCollection Medina Plush Queen Mattress work with adjustable base? Yes, this mattress is compatible with an adjustable base. We recently purchased two motion perfect III bases and icomfort hybrid mattresses. Identical products. My mattress sticks down to the velcro attachment panel but my husbands does not. His mattress slides down when he raises the head of the bed. What is causing his to not attach? Thank you for choosing a Serta mattress. We are sorry to hear that your husband's mattress is not attaching properly. Please check the area to ensure that there is nothing obstructing the velcro on the base and also on the mattress. If you require further assistance, please call us at 1-888-557-3782. How do I troubleshoot a bed frame not operating? The adjustable bed frame will not operate. I noticed the green light on the control box is not lit. Suggestions as to what could be the problem? Can a heated mattress pad be used on top of the CradlingCloud Plus mattress topper? Thank you for choosing Serta! You can use a heated mattress pad but we suggest limiting the use to 30 minutes on a medium setting. We are sorry to hear that you are experiencing an issue with your Serta mattress. Please contact the retailer where you purchased from so they can help with a resolution. You can also call us at 1-888-557-3782 for additional assistance. heated mattress pad on mattress topper? I recently purchased a serta all around comfort mattress topper, would I be able to use my heated mattress pad on top of the mattress topper? I loved these sheets for their comfort and cool feeling silkiness. What can I substitute with the same properties and size (queen for a deep mattress). A few years ago we slept at the MGM hotel in Las Vegas. The boxspring was amazing and we like to buy one in Holland. There are several types. Please let us know the type, so we can buy the same we had slept on before. I thought it was a combination off different mattress? Thank you for your interest in a Serta hotel mattress! That particular mattress model may have changed since the time you stayed at the MGM. Please contact one of our hotel specialists at 1-877-468-3540 for assistance. What does the blinking blue light mean on my serta electric blanket? Thank you for choosing a Serta blanket! To assist you better, please call 1 (800) 299-1378. Serta IComfort Blue Max 3000 too soft! My Serta Blue Max 3000 way too soft and I have only had it for 30 days. Which model would be best for firm support, but plush on top? Thank you for choosing Serta! We are sorry to hear that your Blue Max 3000 is not the right comfort level for you. It is considered the plushest iComfort mattress we have. We suggest contacting the retailer where you purchased your mattress to discuss the available model options they have to exchange your mattress. If you need additional assistance, please call us at 1-888-557-3782. Thank you for choosing a Serta air mattress. We are sorry to hear that you are having an issue with the mattress not staying inflated. Please call (800) 325-4121 for additional assistance. How can I get help with a power lift chair that is still under warranty? We bought this powerlift chair for my father because he is disabled. I was told that it has a 5 yr warranty and we bought it from an online dealer based out of Brandon, FL but I believe they have since then closed or gone out of business. The chair needs to be fixed because it leans really bad on the back. He sleeps in this chair because he cannot sleep anywhere else. Please help! Thank you for choosing a Serta lift chair. We are sorry to hear that your Father's chair has an issue. Please call 214.407.8645 or email info@NovoHome.net for assistance. Thank you for choosing a Serta Motion Essentials adjustable base. Our apologies but we can only comment on the compatibility of Serta mattresses with this base. Hello Nathan, we are sorry to hear that you are having an issue with your boxspring. Please contact the retailer where you purchased your mattress so they can assist you. what is the warranty on your recliners? Hi Jack, thank you for choosing Serta! Please contact the manufacturer of our recliners at 1.800.379.9773 for warranty help. can I purchase control accessories for my mattress cover. Both controls went out within two weeks of each other. Can I purchase new control accessories for my serta mattress cover? We've tried everything and they won't turn on anymore. We are sorry to hear about the issue you are experiencing. Please contact us at 1 (888) 557-3782 so we can determine which Serta product you have and how to best assist. What dimensions are your king sized mattress and Cali king mattress? Do I have to purchase a Serta name brand box spring? Hello, I purchased a new Serta mattress only for my daughter last week. If i were to purchase a different name brand boxspring will that void my 10 yr warranty? Thanks! Thank you for choosing Serta. We recommend purchasing the matching boxspring, however, a different brand will not void the warranty as long as it is properly supporting the mattress. Massage function of the mattress has stopped working. Is there a code change that can be made? Thank you for your question! EPT means the mattress is a pillow top. Thank you for your interest in Serta! All of our mattresses undergo a construction test beyond industry standards to meet the demands of over 99% of the adult population. Thank you for reaching. Please contact your store of purchase as they are authorized to assist. Exchange polices are set by the retailer and not Serta. I just bought my mattress and my pet had an accident on it and I want to know what I can use to safely remove or treat the stain and if it will degrade or ruin my mattress, and what are my options. We're sorry to hear of the accident. We recommend spot cleaning with warm water, wash cloth, and mild detergent. Be careful to not saturate the foams as this could damage and void warranty. Does a Sertapedic mattress go with a slatted bed? Purchased a La stravanganza extra firm mattress and every morning I am waking up with a backache. Did I choose the wrong mattress? The machine that is supplied to test which mattress is best for you to lie on was not working when I purchased the mattress so I am afraid I have chose the wrong mattress. Can you please advise?! We're sorry to hear of the frustration. Adjusting to a new mattress can take some time, especially if you were sleeping on a different one for several years.We would recommend connecting with your store of purchase to see what they're exchange policy is as these are set by the retailer and not Serta. Thank you. What mattress is similar to haddonfield? Can I use motion essential with any mattress? Thank you for your interest in Serta! The Haddonfield is adjustable-friendly. Not all mattresses can be used on an adjustable base - it depends on the type of coils used in the mattress. We're happy to confirm a specific mattress adjustable compatibility. The mattress has a factory smell to it that I find unpleasant. What can I do? A brand new mattress can have a slight odor at first, similar to "new car smell." The scent should not be severe and should dissipate after several days We recommend letting it air out without coverings until the smell dissipates. If the problem persists, please contact your store of purchase for assistance. We're sorry to hear of the frustration. Please contact the team dedicated our warming products at 800.299.1378 for assistance. Thank you. How do I lower the bed base during a power outage?  Thank you for choosing iComfort! If you would like use the mattress without a boxspring, you may use it on a platform bed. As long as the slats are no more than 2” apart, and there is center support on the frame that reaches the floor, you do not need to use a boxspring. We're sorry to hear of the frustration. Rotating the mattress is not required, but doing so can help even out normal wear and this can be done once every several months to start and then as often as once per month depending on what you prefer. If you believe the mattress to be defective, please contact your store of purchase for assistance. If they are no longer in business or if you have moved, please contact the Serta team at 1-888-557-3782. Can a headboard be permanently attached to the bed frame? What is the difference between a Trump mattress and a Bellagio at Home mattress? We had a Trump mattress in our motorhome and loved it, it was in the factory for some work and came back with a Bellagio at Home mattress. Looking for difference between the two and if the Trump is still available. Replacement parts/warranty for the Morgan Futon? I recently purchased the Morgan sofa, and have found it wonderful so far. However, tripping over a carelessly placed cord has broken the usb charger on the sofa. Is there any way to purchase/replace the plug part of the sofa? Or is there some sort of warranty on the sofa? Please contact our team dedicated to our sofas at 877.693.8866 for assistance. We bought s reversible mattress pad protector but we can’t figure out which side is the cool side and which is the side for winter months. They both look the same. Nothing on the pad indicates what side is what??? Thank you for choosing Serta. We may use either side. What's the best mattress for back pain? I have back pain. I bought a medium firm it was way to soft. What mates is best for my needs? Thank you for your question. Needs vary by the individual, so we recommend trying some mattresses in store to determine which provides you with the comfort you need. You may want to look into a mattress that is a little more firm than a medium firm. Thank you for your question! No registration is required, please simply save a copy of the purchase receipt and should there be any issues, contact the team dedicated to our toppers at 888-999-0499. I’m wondering what to expect while breaking in a mattress. In my past experiences the mattress has always felt harder than what I felt in the store until I broke it in, which took up to a month. I purchased a Serta mattress from Macy’s and it started sagging a lot after the first night. I can feel a deep well where I slept. It’s been 3 days since delivery and it’s getting worse. This seems like a defective mattress to me. What can I do? We're sorry to hear of the frustration. Please contact your store of purchase for assistance. I purchased this from QVC in November 2016 and rotate it once a month. I can't seem to find any warranty information on it. One of the sides is now snagging. This bed isn't even 2 years old. Is there anything I can do? Please contact the Serta team at 1-888-557-3782 for assistance. Our air mattress is a plug in one and the engine just stopped working! Why!? Apologies for the delay. We are sorry to hear of the frustration. Please contact our team dedicated to our air mattresses at 800-325-4121 for assistance. There were no warranty registration papers in the box with my serta chair. I can only find registration online for serta mattresses. How do you register a sorta chair? Please email your name, address, chair model number, and a copy of your receipt to service@truedesigns.com (our team that handles our office chairs). They will add you to the system. We suggest looking at the top of bed items that you are using (sheets, pillows etc.) to make sure that these are made from breathable fabrics. You may want to look at our iComfort brand sheets and pillows which are designed to promote airflow and reduce heat build up. I purchased my mattress and box springs in April 2015. I cannot locate the law label to obtain warranty information. Thank you for reaching out. Serta does not manufacture Beautyrest products, so we recommend reaching out to them for the most accurate information. How can I tell if my Icomfort mattress is plush or firm? Thank you for your question. You can tell by looking at the law tag. It will either have a PS for plush or FM for firm. Feel free to contact the team at 1-888-557-3782 with law tag information and we can help identify and confirm. i need remotes for my serta adjustable beds . SER. C358866 . Rotating the mattress is not required, but doing so can help even out normal wear and this can be done once every several months to start and then as often as once per month depending on what you prefer.